Dry split bush wood cut to order for small or large fires. Mostly messmate (stringybark; eucalyptus obliqua), narrow-leafed peppermint and candlebark. 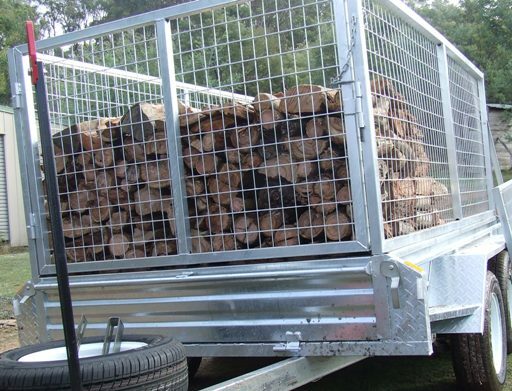 Current prices - $155 for a cubic metre; $220 per tonne; delivered in north-west area. Messmate/peppermint is approx 1.4 cubic metres to the tonne. 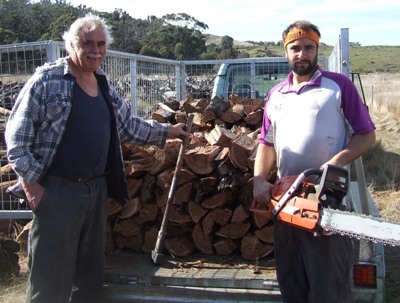 Cut and hauled from the Cobaw Ranges, near Lancefield. 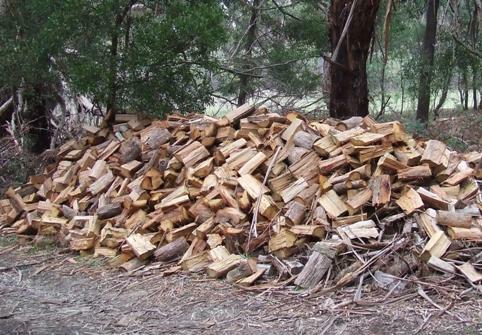 Charlie Walker, 13 Vine St, Moonee Ponds, 3039.
firewood to you in Melbourne from the bush near Lancefield.